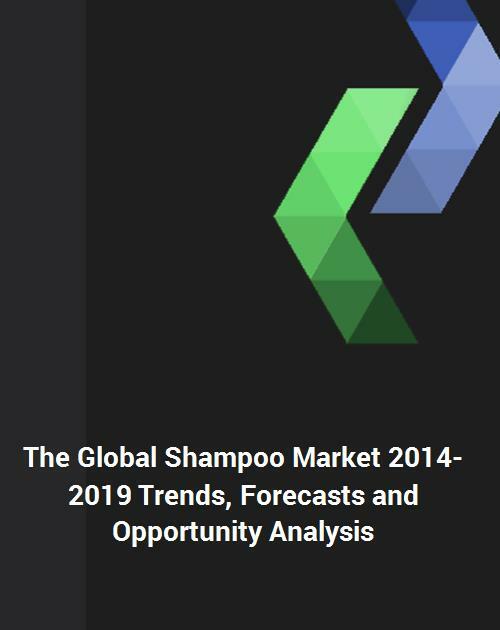 The global shampoo market is expected to reach an estimated value of $25.73 billion by 2019. The major drivers of the shampoo market is product innovation, emerging men's grooming sector, increasing pollution, increasing concern of consumers about their appearance, and increasing demand for natural and organic hair shampoos. Herbal shampoo depicted the highest growth rate among all four segments in 2013. In herbal shampoo segment, increasing consumer awareness on the benefits of natural and organic hair care products will further drive this market. On the basis of its comprehensive research, the author forecasts that majority of the segments for cosmetic shampoo will grow moderately during 2014-2019. Herbal shampoo segment is growing at a greater pace than cosmetic shampoo, dry shampoo, and anti-dandruff shampoo. New product innovation, online selling and effective advertisement are the driving forces of the global shampoo market. Growing demand of herbal shampoo from emerging economies such as China, India, and the Middle East countries is anticipated to boost the market. Product innovation in shampoo market, with advanced solutions for different hair problems and new product launch according to customers' need, resulted in a consistent demand. Regular innovation of products is very important for companies to sustain their successful positions in the market. This unique report will provide you with valuable information, insights, and tools needed to identify new growth opportunities and operate your business successfully in this market. This report will save hundreds of hours of your own personal research time and will significantly benefit you in expanding your business in this market. In today's stringent economy, you need every advantage that you can find. - Analysis of competitive intensity of the market based on Porter's Five Forces model which helps to understand the competitive position of industry players. - Global shampoo market intelligence with special emphasis on segment by product type such as anti-dandruff shampoo, cosmetic shampoo, dry shampoo, and herbal shampoo. - Market size in terms of value ($B) by segment, market size trend (2008-2013) and forecast (2014-2019) for key market segments to make major investment decisions. - Regional Analysis provides shampoo market breakdown by region among North America, Europe, APAC and ROW.